SPENCERVILLE — Dorothy Burnett, 96, of rural Spencerville, passed away peacefully at 11:30 a.m. Monday in the Roselawn Manor in Spencerville. She was born Sept. 2, 1922, in Jennings Township, Van Wert County, the youngest and last surviving of 18 children of Frederick and Emma Adeline McKinley Louth, who preceded her in death. On Jan. 10, 1943, she married Gerald O. Burnett, who died Dec. 11, 1997. Surviving are four children, Thomas (Linda) Burnett of Venedocia, Alice Burnett of Spencerville, Patricia (Harold) Gaerke of Geneva, Indiana, and Jeffrey (Cheryl) Burnett of Spencerville; 11 grandchildren, Missi and Brad Counts, Tracy and Shane Clark, Stephanie and Shawn Monroe, Daniel and Nikki Burnett, Leslie and Brandon Suever, Oakland and Ashley Gaerke, Sadie and Andy Kirk, Andy and Melissa Burnett, Bryan and Sarah Burnett, Justin and Ashley Burnett and Jennifer Burnett; 23 great-grandchildren; six great-great-grandchildren; and her sister-in-law, Vera Burnett of Spencerville. Dorothy was also preceded in death by her daughter, Darlene (Ned) Siemer; an infant son, Daniel Burnett; a grandchild, Timothy Siemer; nine brothers, Walter, Roy, Raymond, Floyd, Maurice, Carl, Richard, Howard and infant James; and eight sisters, Clara Meihls, Irene Gase, Inez Kill, Ruth Detrick, infant Edna, Mabel Reynolds Myrtle Jones and Jennie Axe. 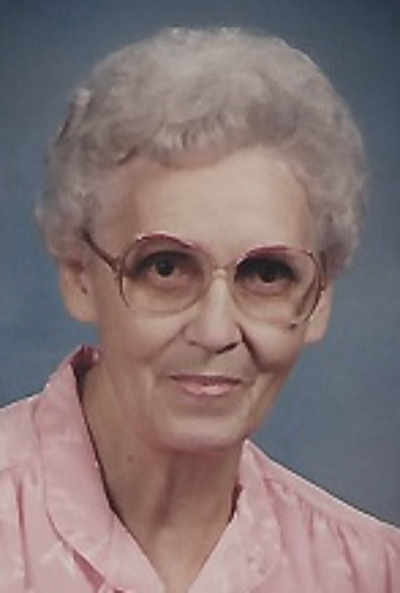 Dorothy retired in 1984 as an inspector at the former Hayes-Albion Corp. in Spencerville and had worked in a nursing home in Van Wert prior to that. She was a member of the Kingsley United Methodist Church near Van Wert. She loved being with family and greatly enjoyed her grandchildren and her dogs, gardening, her flowers and quilting. Funeral services will begin at 10:30 a.m. Saturday in the Thomas E. Bayliff Funeral Home in Spencerville. Burial will follow in the Wright Cemetery near Converse. The family will receive friends from 4-8 p.m. on Friday and after 9:30 a.m. Saturday at the funeral home.